OOTD - Blush Maxi Skirt for Summer | La Petite Noob | A Toronto-Based Fashion and Lifestyle Blog. 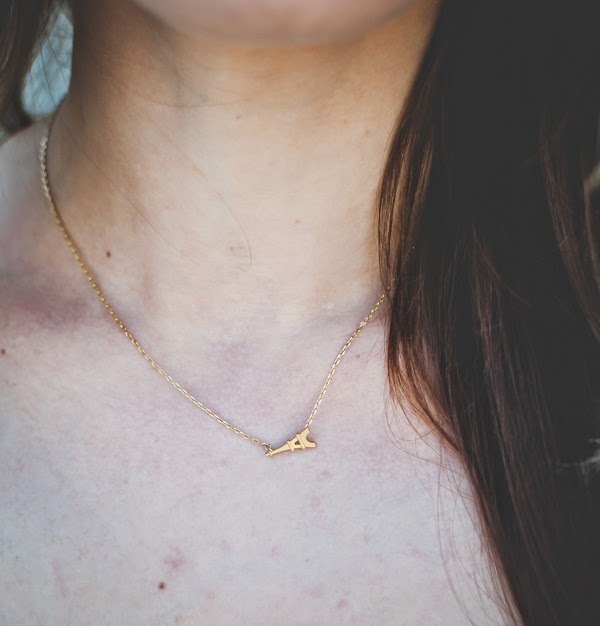 I picked up this sweet little necklace in a boutique in Paris. Although I don't usually end up buying much while on vacation - I feel my time is better spent sightseeing - I am always glad when I do. This tiny Eiffel Tower necklace is made of inexpensive material, but always brings back amazing memories when I wear it - making me feel like a million bucks. I've said it before and I'll say it again - sentimental value is worth so much more than any material or brand. HAHA - if you zoom in, you can see my still-in-pijamas husband taking the photo, with my grumpy little chihuahua trying to escape! How did you spend this Father's Day Sunday? I hope you had just as fantastic of weather! I love this skirt even more every time you post an outfit with it! I have an emerald green maxi skirt that I'll be busting out pretty soon (the rain was just too miserable this past week). In love with this skirt! Beautiful look! The forecast held up all week until it was overcast all day yesterday downtown! :( I was so sad, haha. Hope your BBQ has some rays of light, though. This looks like the perfect bbq outfit - also congrats on the Lauren Conrad's blog feature. Gorgeous skirt, the color is fantastic and AHHH I'm obsessed with that necklace! I wish I had found something similar in Paris! 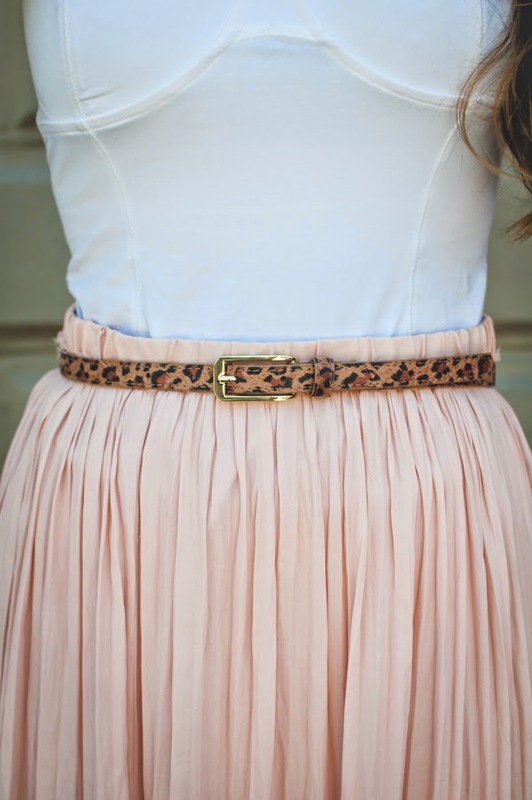 Gorgeous blush skirt!! Perfect for summer! Any tips on shopping for the perfect maxi skirt? I'm in love with the look but have yet to actually buy one. Thanks!